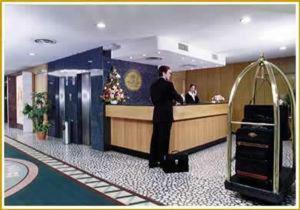 Cristoforo Colombo Suites, Buenos Aires discount hotels and accommodation. In Buenos Aires, find an excellent place for resting, for doing business and for pleasure.A few meters away from Palermo Woods and with an easy access to the convention center "La Rural", the Torre Cristoforo Colombo combines all the comfort: 160 fully-equipped suites with a cozy and personalized attention of our staff. View photos, room descriptions and make online reservations at Cristoforo Colombo Suites. Save on room prices at Cristoforo Colombo Suites, Buenos Aires.